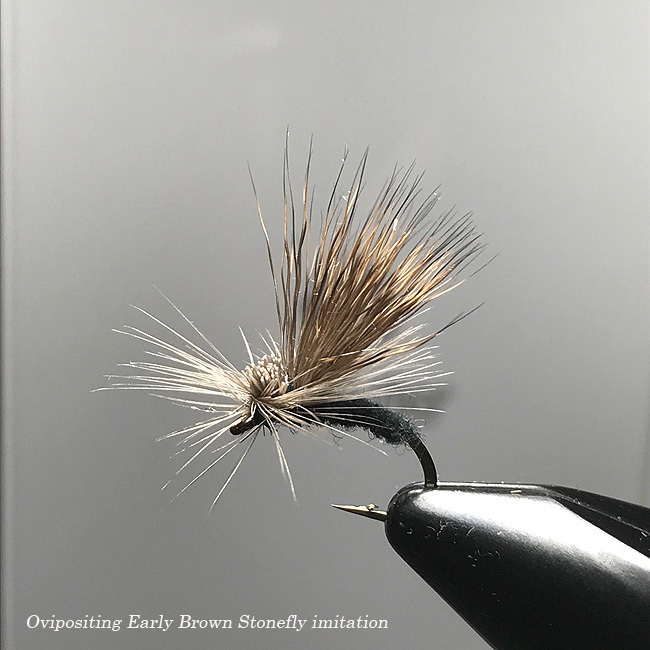 Early Brown Stonefly hatch is one of the earliest hatches where you might get a chance to fish for rising trout on many trout streams central and northern Wisconsin. The hatch occurs from mid-March into mid-April depending on the temperatures, Winter snow amounts and the stream location. 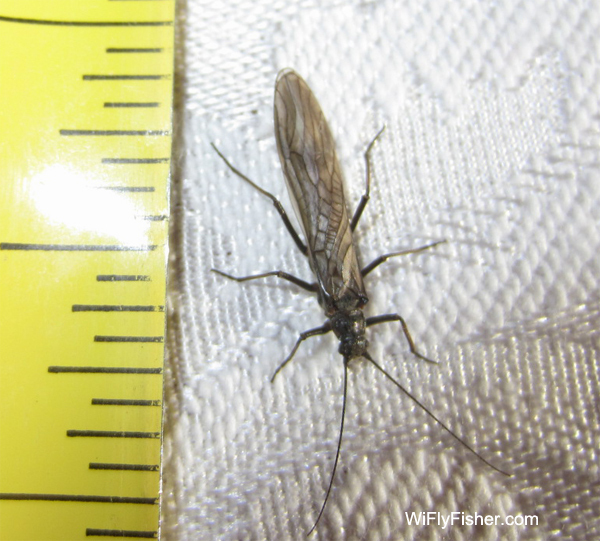 Before the Wisconsin DNR started the early season catch & release we never got a chance to experience this wonderful early season stonefly hatch. The small stonefly nymphs crawl out of the water along the shoreline to shuck their nymphal case and become a winged adult. 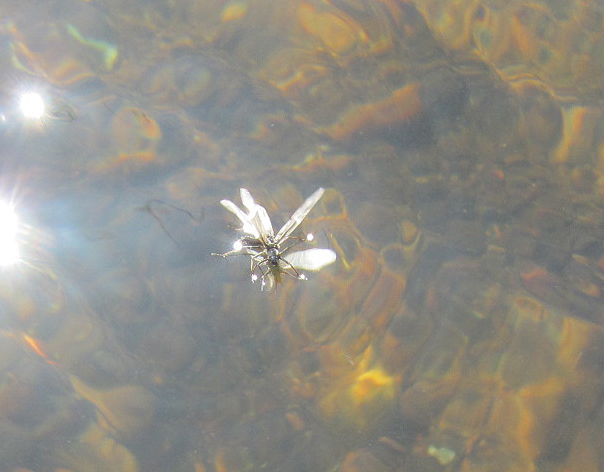 The stoneflies come back on the water to lay their eggs (ovipositing) and flutter and skate across the surface. Especially in midday and early afternoon you can find these bugs flying about and landing on the water, but it does depend on the seasonal weather. This can make for some great early season dry fly action to rising trout when you catch it right. 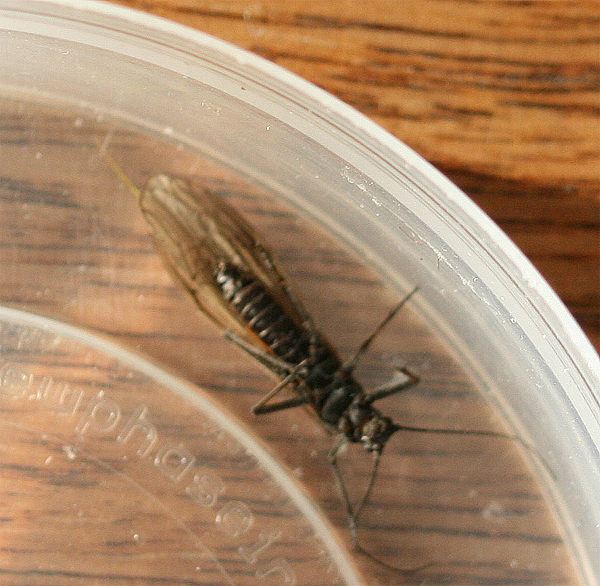 The early brown stonefly measures 5/8" long from head to the end of it's grayish-brown wings. 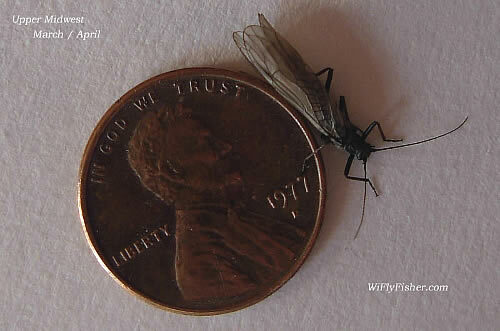 The blackish body is only about 3/8" long. When the stoneflies are not fluttering on the surface I use a small stonefly nymph pattern and fish it in the shallows. Beware, early season the trout are generally not found in the places they are found during the summer months. 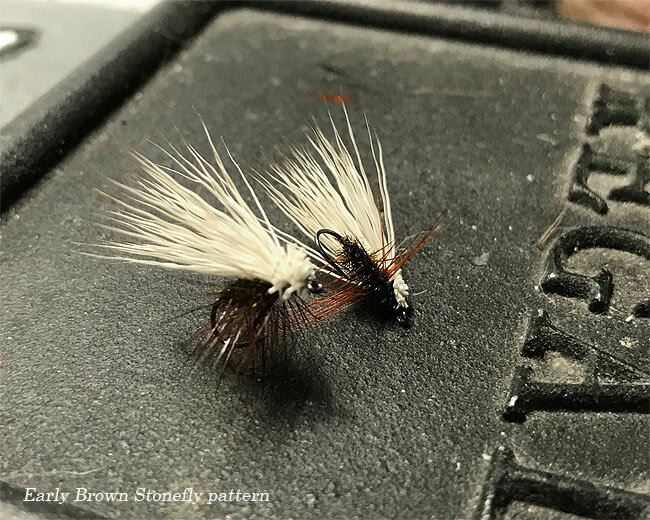 My preferred pattern when the stoneflies are on the water ovipositing is a size #14 dry fly hook and a low riding dry fly with a deer hair wing that lays right in the film. I have heard of others doing well on a parachute Adams patterns. What ever you use be sure to twitch the fly to get the trout's attention. 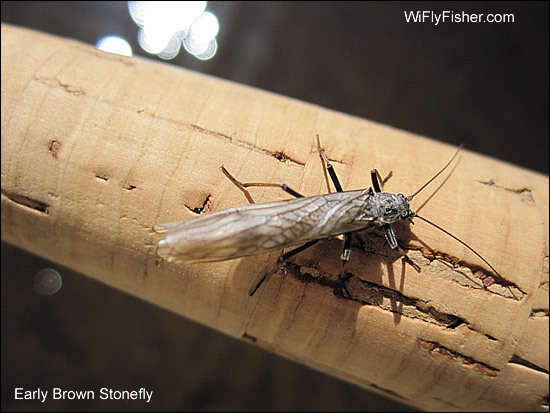 The Early Brown Stonefly hatch is often confused with the much smaller sized Little Black Stonefly which hatches before the Early Brown Stoneflies begin to hatch.